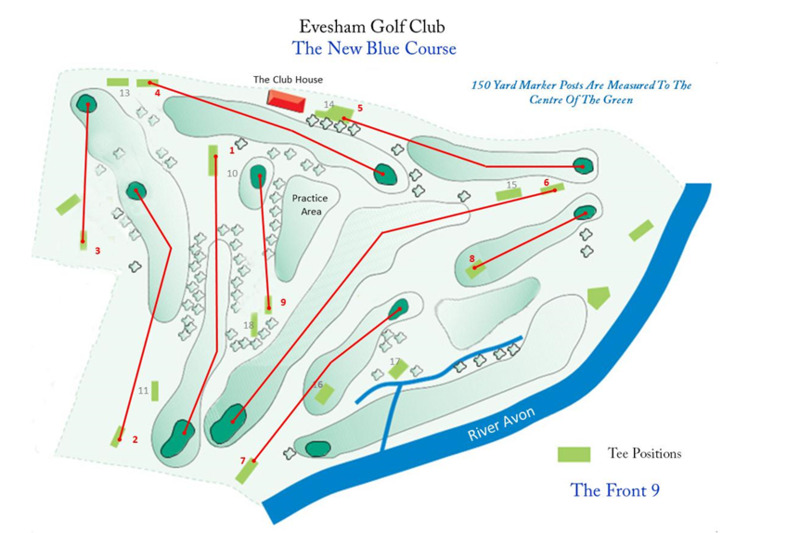 Occasionally when the River Avon is in flood we use our ‘Blue Course’. 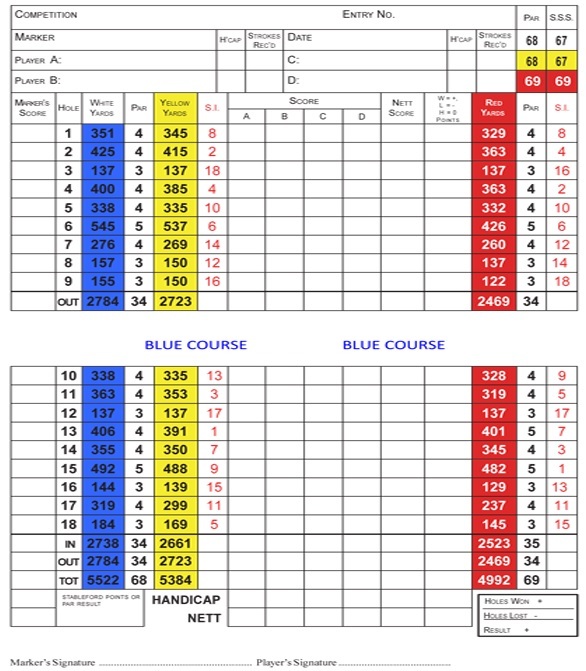 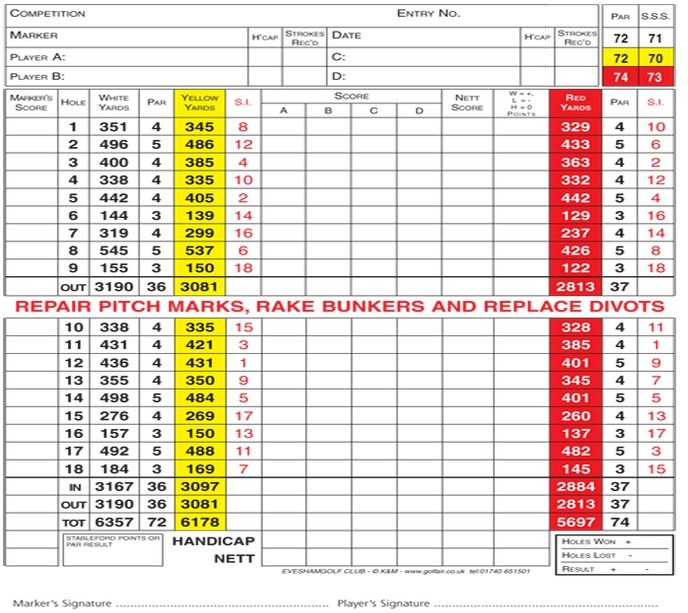 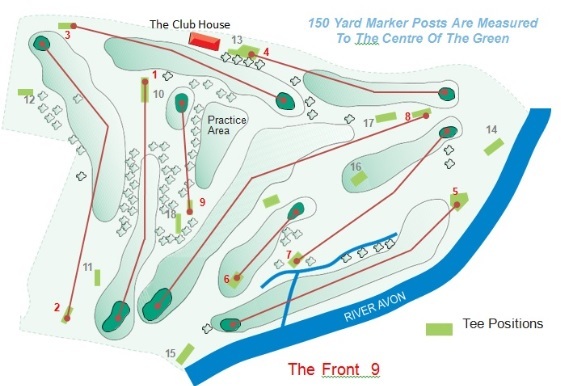 This course is used when we are not able to play the 5th/14th holes. 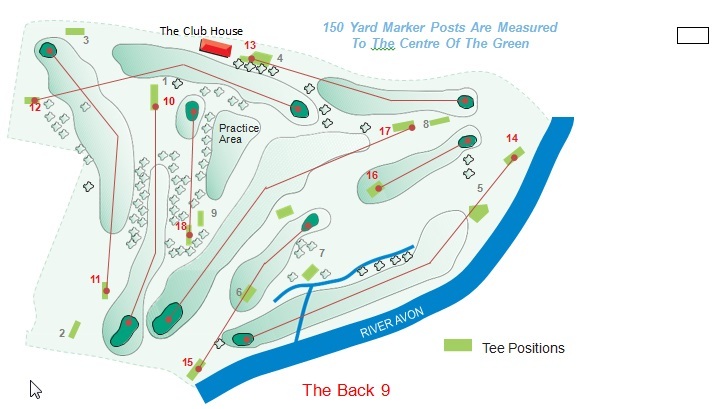 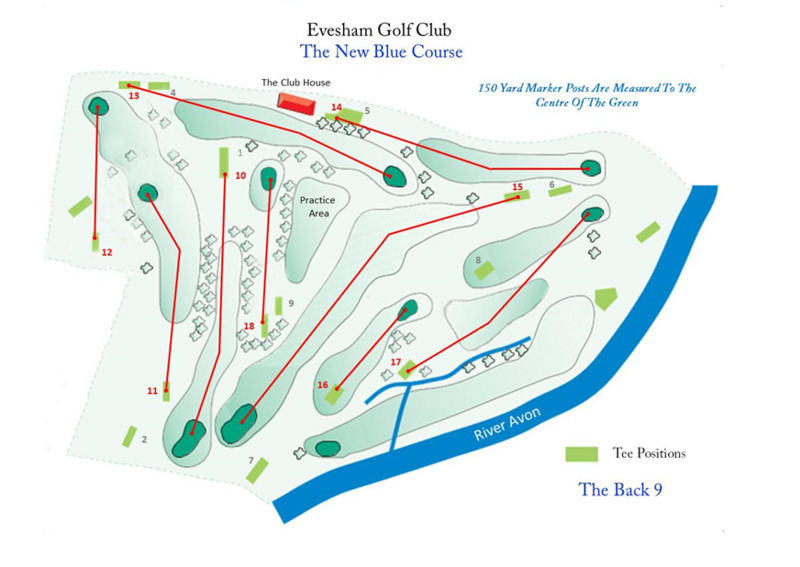 We introduce an extra par 3 which allows us to still play qualifying competitions over an officially measured golf course.